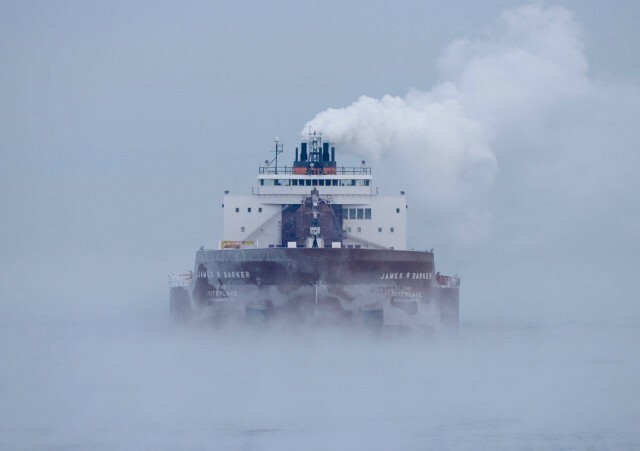 M/V James R. Barker was the first 1000-foot class vessel constructed entirely on the Great Lakes, where she was built by American Ship Building Company at Lorain, Ohio. 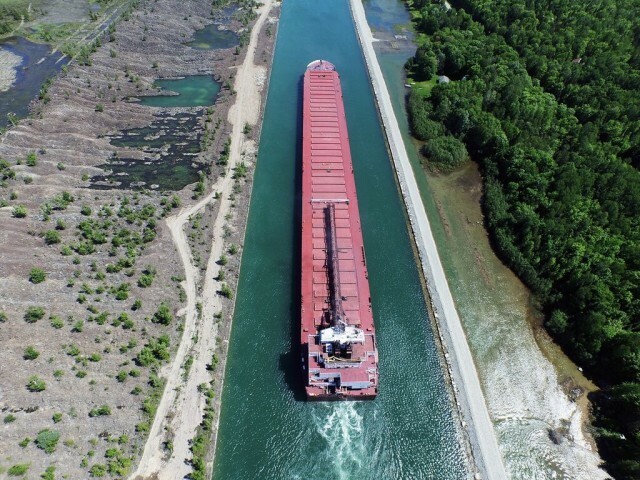 Her self-unloading system includes three cargo hold belts and a 250-foot boom, and is capable of discharging a cargo in about eight hours. 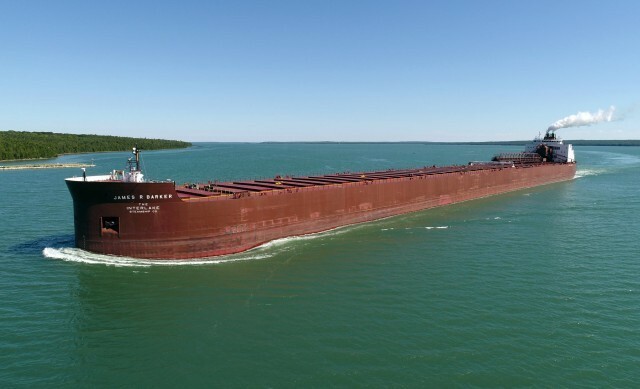 The James R. Barker is named for Interlake’s Chairman of the Board. The ship has always been part of the Interlake Steamship fleet. One of the first thousand footers to have all accomodations in a five-story superstructure located at the stern. 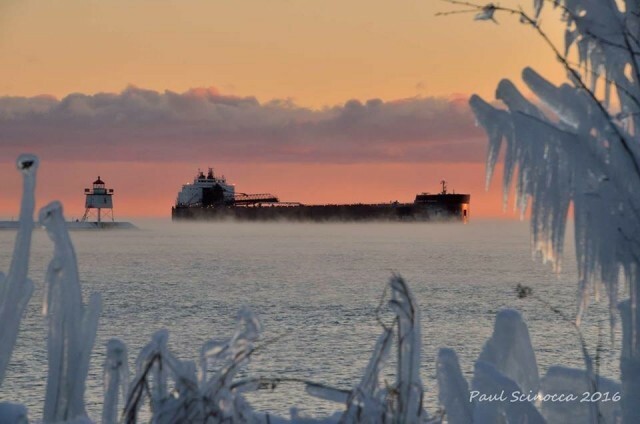 In Nov. 2015, she was the last freighter to deliver coal to the Consumers Energy's B.C. Cobb plant in Muskegon. 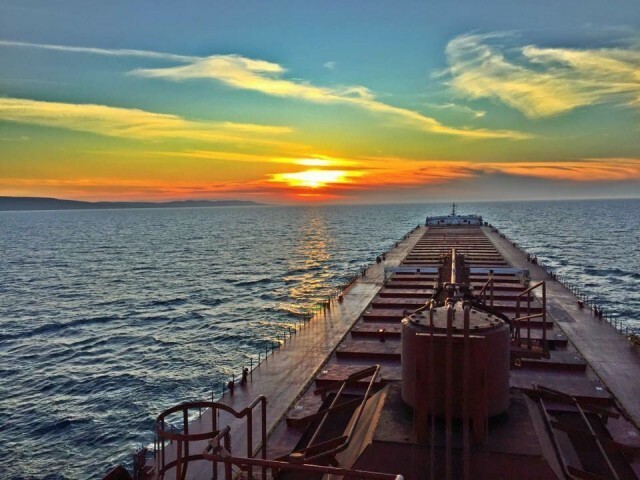 In 2017, she was the first vessel to carry Cliff's new mustang pellets.